Someone’s been a good pug this year! Santa made his list, checked it twice, and Nickie the pug made the cut! (As if there was any doubt she’d end up on the nice list this year!) The tree is starting to fill up with all of Nickie’s presents, and she’s started sniffing around to guess what’s in all of her packages. Nickie can’t wait to open her Pug Box and other gifts on Christmas morning! 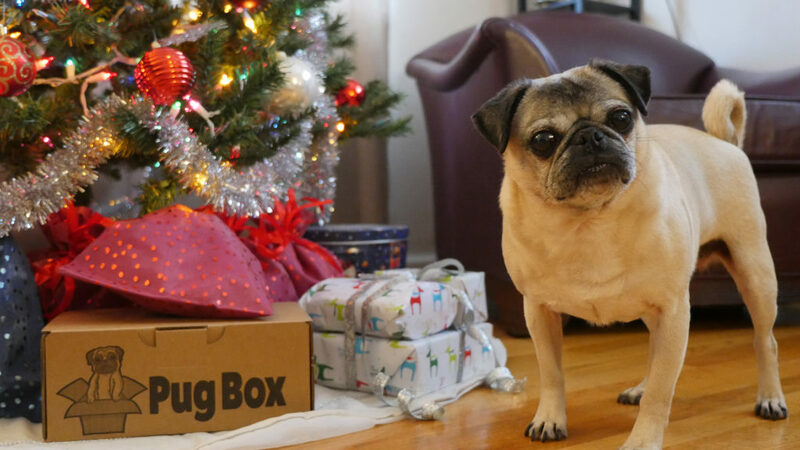 If your pug has a holiday Pug Box on their wish list, there’s still time to order! 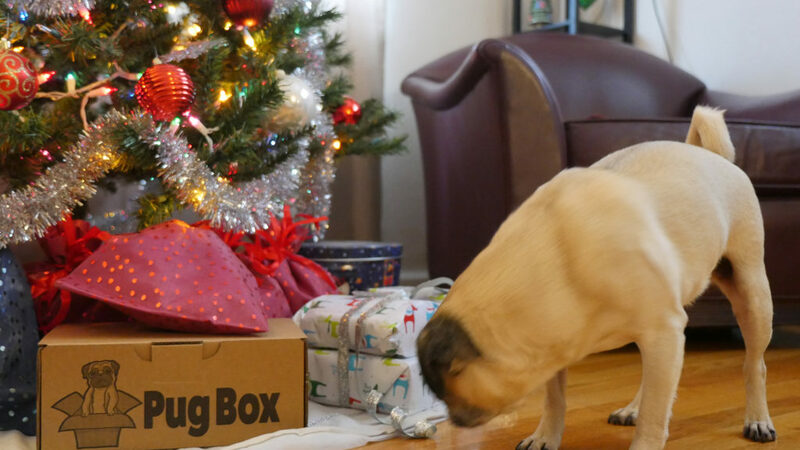 We’re providing same-day shipping on all Pug Box orders through the end of 2017. Visit pugboxes.com to pamper your precious pug with a Pug Box today!